The latest figures from City Hall show the parlous state of 'affordable' house building in London. 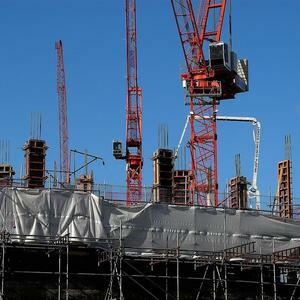 Just 2,670 'affordable' homes have been built since April this year, with even fewer started. Boris Johnson has previously promised we'd have 55,000 new 'affordable' homes (if you start counting from April 2011). He's going to miss that target, and we reported back in August that there was £380m in housing funding unallocated. Why do we keep writing 'affordable' in sarcastic inverted commas? Because the definition of 'affordable housing' changed between those two government funding cycles. The current programme, called the Affordable Homes Programme, has less money in it than the 2008-2011 cycle and developers are meant to make up the difference by charging higher rents — up to 80% of the rate found on the open market, in some cases. So the new 'affordable housing' that London's building won't necessarily be much cheaper than renting from a private landlord. And the situation looks even worse once you realise that traditional council housing — that's rented out for around 30%-40% of open market rates — is being sold off under Right to Buy. 3,190 of London's council houses were sold off in 2013-14. * The majority of the houses completed in these years were funded under the 2008-2011 programme, they just took a while to get finished.